Through the course of a musical career spanning some four decades (from 1929 through 1968), many sobriquets have been applied to describe Cy Walter’s talent, among them the “Art Tatum of Park Avenue”; the “darling of New York supper clubs”; the “champion of the genre”; the “poet of the piano”; the “Michelangelo of music”; the “grand master of harmony”; and the “Dean of Cocktail Pianists”. One WNEW radio announcer, struggling for an apt yet new accolade, even likened Cy Walter to Diogenes. Although sometimes categorized as a “jazz improvisationalist”, Cy preferred to characterize himself as a “stylist of show tunes”. The reality of Cy’s piano playing, however, was that his creative style was unique, largely defied stereotyped definition, and set its own standard. Cy Walter is the Art Tatum of Cafe Society. He is the pianist, music experts agree, to whom virtually every one of today’s popular pianists owes a debt of gratitude. His style is uniquely his own and consistently holds a network of radio listeners in the four corners of the nation as readily as it thrills a crowd nightly in New York’s smart Drake Room. Such talent, coupled with an affable personality and sincere respect for others possessing a similar musical bent, meant that Cy was known (and loved) throughout the café society of the thirties, forties, fifties, and sixties. Before settling down after the war years at the New York City Drake Hotel’s Drake Room (with which his name became synonymous), Cy played at dozens of intimate rooms across the country. While Cy’s primary performance venue was always New York, he performed in San Francisco, Cape Cod, Colorado, and Minneapolis, among other locales; and he was heard on radio programs across the country. And, as accompanist in both live and recorded contexts for such great performers as Greta Keller, Lee Wiley, and Mabel Mercer, Cy evinced a nuanced style which beautifully complemented his partner’s talents. Born on 16 September 1915, Cy had the earmarks of a child prodigy, graduating with honors at age fifteen from the Minneapolis, Minnesota West High School. He then proceeded through a year of college at the University of Minnesota. After initially pursuing the cello, Cy’s first professional performance, as a classically‑trained pianist, was at age fifteen. When he thereafter elected to try his hand as a musician in New York City during the Spring of 1934, he initially obtained a coaching job with a singer through Johnny Green, and then, during that Summer, played piano on the New York to Boston night boat cruise. In the Fall, Cy transferred to New York University; but two weeks after enrollment, Eddie Lane heard Cy perform on his fifteen‑minute solo radio show, and asked him to join the Eddie Lane Orchestra for an engagement at the DeWitt Clinton Hotel in Albany, New York. So ended Cy’s formal education and began a four-year association. George T. Simon, of Metronome magazine, in reviewing Eddie Lane’s orchestra in the April, 1935 issue, stated: “Eddie Lane uncovered a nice pianist in Cy Walter … coming from the Shadowbox in Pittsburgh (NBC), the rest of the band sounded like any average, well‑rehearsed unit”. One of Cy’s earliest radio appearances was as part of a two‑piano team with Gil Bowers on NBC’s “Piano Time”, where he played for at least a year (1937‑1938). Cy also performed live with Gil Bowers at NYC’s Ruban Bleu nightclub; and the two recorded together and were commissioned to play at prestigious private events. Walter Winchell praised Cy in his September, 1938 Daily Mirror “New Yorchids” column for Cy’s Cole Porter show recording. Indeed, this early favorable press recognition only presaged the many positive articles to come. During Cy’s career, his unique piano performing was lauded time and again by musical reviewers in national and local media (in magazines such as Time, Newsweek, Metronome, Downbeat, Radio Mirror, Radio Hit Songs, Cue, Playbill, Park East, Social Spectator, and Playbill; and in newspapers such as the New York Times, Daily News, World Telegram and Sun, to name a few). In the late thirties, Cy appeared as part of the orchestra for a Jerome Kern musical, “Very Warm For May”. Though not a commercial success, this show’s score included one of the more famous of all standards, the song “All The Things You Are”. 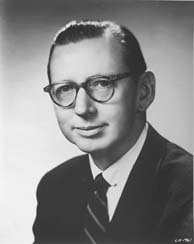 Cy would recall that, on the eve after Kern composed this piece following one of the musical’s rehearsal performances, Kern presented it to him to play, with the comment that it would be going into the show the next day. Being the first to play this piece may explain why it later was clearly one of Cy’s favorites; but its beauty also deeply touched Cy then, leaving him in tears after that first playing. Shortly thereafter, Cy accompanied Viennese chanteuse Greta Keller at the New York City Algonquin Hotel’s Supper Club, launching a successful live and recorded partnership that also brought them to performances in San Francisco’s Palace Hotel. Cy’s recordings with Greta Keller were released on the classy Liberty Music Shop label, which likewise released Cy’s solo performances of his arrangements of Gershwin’s, Kern’s, Rodgers’, and other noted composers’ songs. Who are these fellows, Cy and Walter? For you’re certainly not going to stand there and tell me one man plays all that piano. I resent the whole experience, anyway. Here I’ve been yelling with pain at the way the ‘stylists’ kick hell out of the original harmonies and you have to send me a record that stinks with style and still manages to leave all the harmonies intact. Further, I have never heard better taste. Why don’t you leave a man and his hates alone? Many thanks, Maggie. My love to you and a deep, grateful bow to Messrs. Cy and Walter. So began a lifelong friendship and partnership between Cy Walter and Richard Rodgers, with Cy publishing numerous arrangements of Rodgers’ songs, and releasing an LP of those arrangements entitled “Rodgers Revisited”. In 1942, Cy opened his own nightclub, Cy Walter’s Night Cap, whose days were numbered as Cy was called into the Maritime Service for, as he described it, “1 year, 2 months, 5 days, 22 hours, and 10 minutes”. In the forties and fifties, Cy also continued his duo piano playing on radio and television with Stan Freeman, another tremendously-talented stylist of the day. The two performed for several years on ABC’s radio program “Piano Playhouse”, captivating audiences as the anchor piano team for a show whose weekly format included differing guest jazz and concert pianists. Each show crescendoed with Cy, Stan, and the guest pianists playing an unrehearsed improvisation on a popular song. Happily, recordings of some of these radio shows are still here to be heard. For a brief period in the early fifties, Cy and Stan also performed each weeknight for CBS‑TV’s programs “Stork Club” and “Three’s Company”. Park Avenue has its Tatum too. He is a slight, bird‑like young man named Cy Walter, who has played his own special brand of piano for many years in Manhattan’s best bars and bistros. In addition to cafe society’s pub crawlers who flock around him like an excited group of bobby soxers, many of the town’s top musicians have long been sitting in the bend of his piano in their late off‑hours, thrilling to a great display of taste in music, and such accomplished ivory pushers as Walter Gross, Teddy Wilson, Buddy Weed, and Howard Smith have followed him with the adulation of some unofficial fan club. Sinatra, Whiting, and other bigtimers are constantly dropping by where he is playing to pick up on some obscure show tune that he has resurrected from the vast storehouse of his musical mind. Songwriters and publishers, too, come by to hear their melodies played in highly original but unmaligned fashion. Bach, after a flowery portrait of Cy’s piano style, then noted that Cy was currently appearing at the Drake Hotel; offered a tune‑by‑tune playlist of an evening’s performance there; and listed the following clubs in which Cy had previously appeared: Ruban Bleu; No. 1 Fifth Avenue Bar; The Algonquin Supper Club; The Blue Angel; Tony’s on West 52nd Street; and La Martinique. Cy would perform at the Drake Room from 1945 through 1951, returning there in 1959. 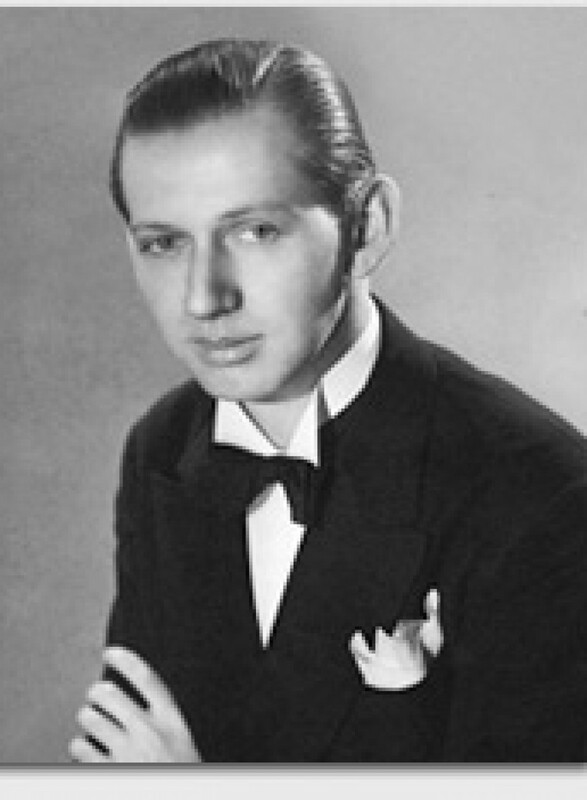 In this late forties through late fifties period, Cy’s playing graced many pianos, in rooms such as the Waldorf‑Astoria’s Peacock Alley, the Byline Room, the Copacabana, and many others. From 1959 on, Cy played in his favored venue of the Drake Room continuously six nights a week until shortly before his untimely passing, following a long battle with cancer, on 18 August 1968. Cam Walter passed away of lung cancer on 20 October 2010. Cam and Cy are now survived by their daughters Victoria and Daphne, their son Mark, and their grandson Christian. Cy Walter’s musical legacy is replete with original sheet music and recordings, comprising a diverse treasury of his unique arrangements and compositions. 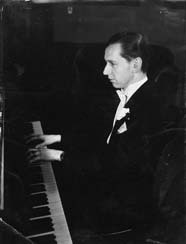 And, because of the wealth of publicity, correspondence, and memorabilia still extant and presented in large measure in this website, Cy’s career also offers significant insights into one of the Twentieth Century’s richest musical eras: the intimacy of cabaret and café society, as played over the ivories of four decades.